There are many reasons I love a sheet mask. Firstly, my skin always looks instantly better after I've used one. If you've ever indulged, you'll know that the cooling solution is just what you need to give your complexion a boost, whether that's reviving tired skin, adding moisture or just making it look brighter. Secondly, the soothing nature of the mask means that you feel totally relaxed. But there's always been something that's bugged me when it comes to sheet masks: I can't drink a glass of wine through one. At only £5 you'd be forgiven for being fairly skeptical about how effective such a mask can be. But if the beauty industry has taught me anything, price often has nothing to do with how a product works. 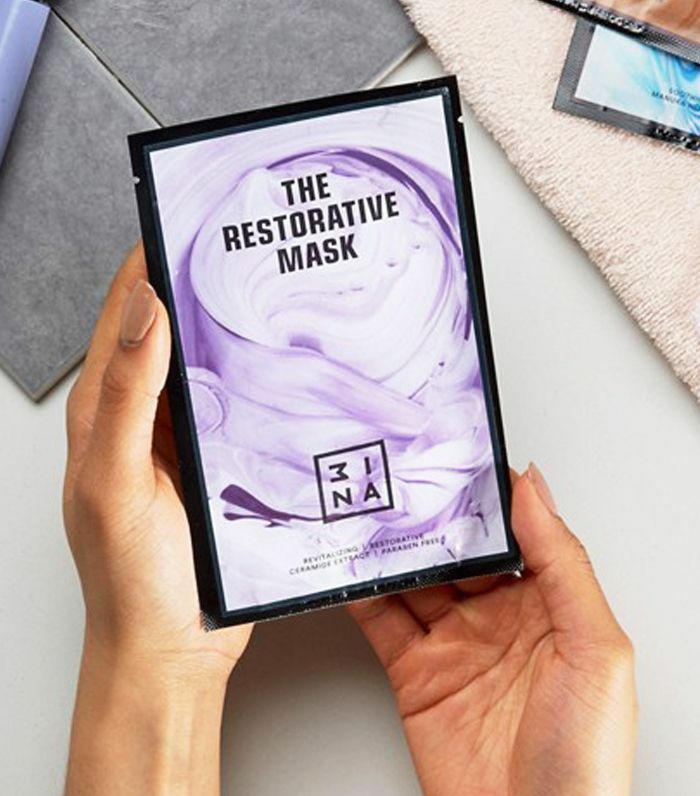 The Restorative Mask (3INA also offers Moisturising and Soothing masks) was just what I was looking for: I needed something to take away the dullness of my skin before I was attending a wedding at the weekend. Trying the mask on a Friday evening, I ran a bath and poured a glass of red. I then put the mask on already clean skin and left it on for 20 minutes. After taking it off, and gently massaging the rest of the mask on my face, I immediately saw my skin had become brighter. Thanks to the ceramide and ginseng extract, I had the sort of glow that looked like I'd just finished a particularly intense session of yoga. Sure, the warm bath and wine helped but the effect lasted long after Friday night with my skin soft and radiating the next day. Next up! The best gradual fake tans that are so real no one would ever know.